Northern Territory - Tours, Accommodation, Parks etc. 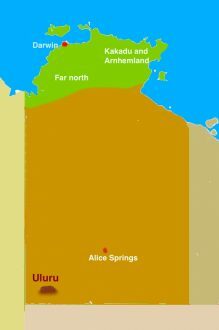 Northern Territory – Tours, Accommodation, Parks etc. 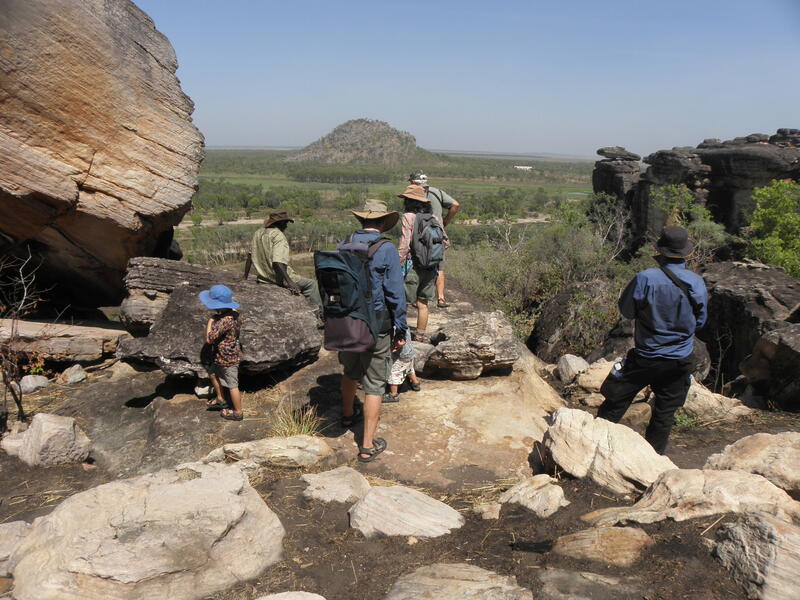 Even for many Australians, a visit to Northern Territory is like entering other country. Dramatic red cliffs, plenty of crocodiles, enormous termite mounds, some of which are lined up magnetically, vast wetlands with multitudes of waterbirds, many opportunities to experience traditional Aboriginal culture, journeys of hundreds of kilometres without seeing a house, lush oases surrounded by widespread deserts, and of course our most famous natural landscape, with deep significance to the Aboriginal people, Uluru (originally called Ayer’s Rock by white settlers, but now reverted to its Indigenous name). The world-renowned World Heritage Listed Kakadu National Park is a permanent tropical home for one third of Australia’s bird species. Billabongs in the park attract a variety of magnificent birds including jabirus, jacanas, spoonbills, kingfishers, magpie geese and egrets. But the most famous resident of the top end is probably the saltwater crocodile or ‘saltie’, seen in billabongs and rivers, resting on mud flats and even floating around Darwin Harbour! The Top End fauna (northern part of NT) also includes water pythons, turtles, frill-necked lizards and barramundi to kangaroos, wallabies, emus, dingoes, flying foxes and thorny devils. You can see some of these in captivity in the Territory Wildlife Park, a couple of hours’ drive south of Darwin. Further south, you encounter the vast wide open spaces and wonderful desert scenery of Central Australia (Australia’s ‘Red Centre’). This includes, about half a day’s drive from Alice Springs, the famous Uluru (formerly Ayers Rock), rising in spectacular fashion from the surrounding landscape, glowing in reds, golds and purples as the sun sets, and rich in Aboriginal legend. Keep an eye out for euros (a species of kangaroo), cockatoos, ringneck parrots, honeyeaters, bustards, zebra finches, kestrels, whistling kites and an abundance of lizards. The Alice Springs Desert Park is a good place to see a variety of native animals in semi-natural settings spread over 1,300ha, and with good educational facilities, including audiotapes you can carry with you around the Park.